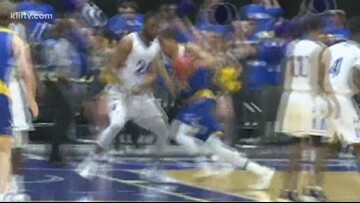 Texas A&M-Kingsville lost it's opener in the Lone Star Conference Tournament to West Texas A&M. 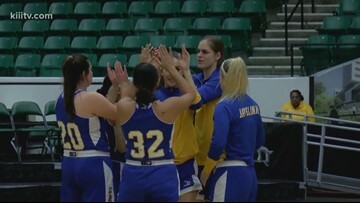 Texas A&M-Kingsville couldn't overcome a hot start to the second half for Angelo State in an 83-76 loss to the Rams. 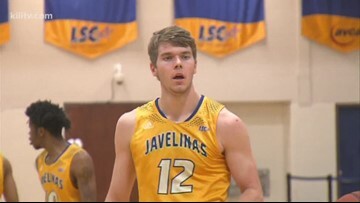 The Javelinas fell to Angelo State 83-76 in the Lone Star Conference Tournament opener, ending their season up in Frisco. 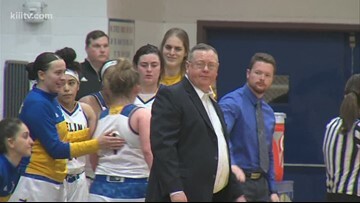 Javelinas Men's and Women's basketball both handed loses by Tarleton State. Texas A&M-Kingsville came back from nine down at the half with a big third quarter, but the Aggies pulled away late to win 80-74. 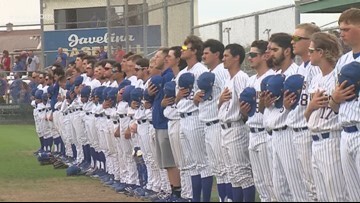 Texas A&M-Kingsville lead from start-to-finish against the Aggies Saturday. The Javelinas lead from start-to-finish in a 70-44 win over Cameron, extending their conference win streak to six games. The Cameron Aggies overcame a big third quarter from the Javelinas to win 80-74 and snap Texas A&M-Kingsville's three-game win streak. Texas A&M-Kingsville men's and women's basketball completed a double-header sweep of UT Permian Basin on the road.